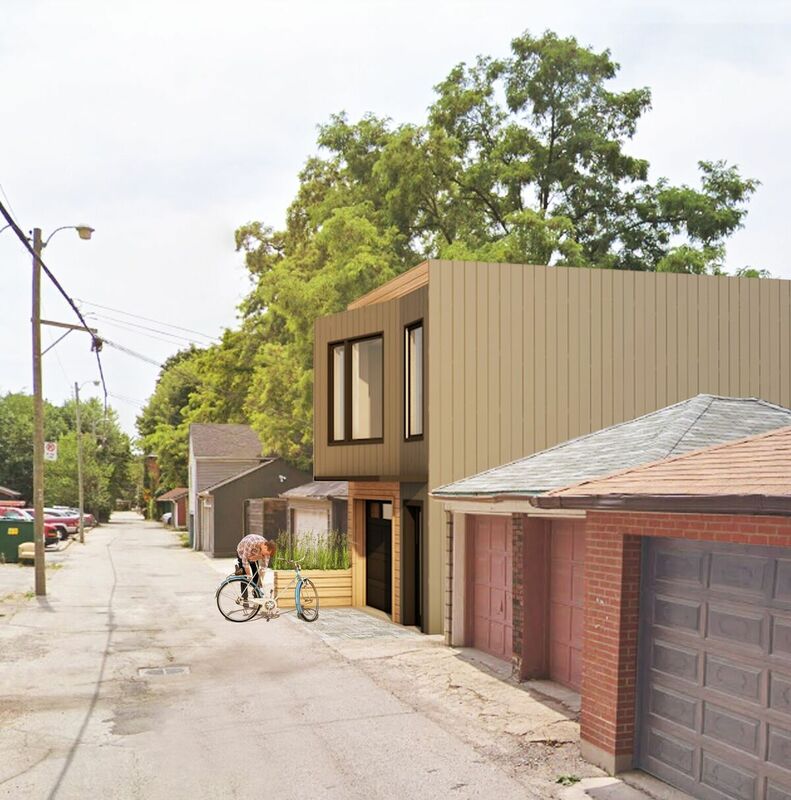 We are excited by the possibilities of Laneway Houses in Toronto to create more affordable, net-zero housing. 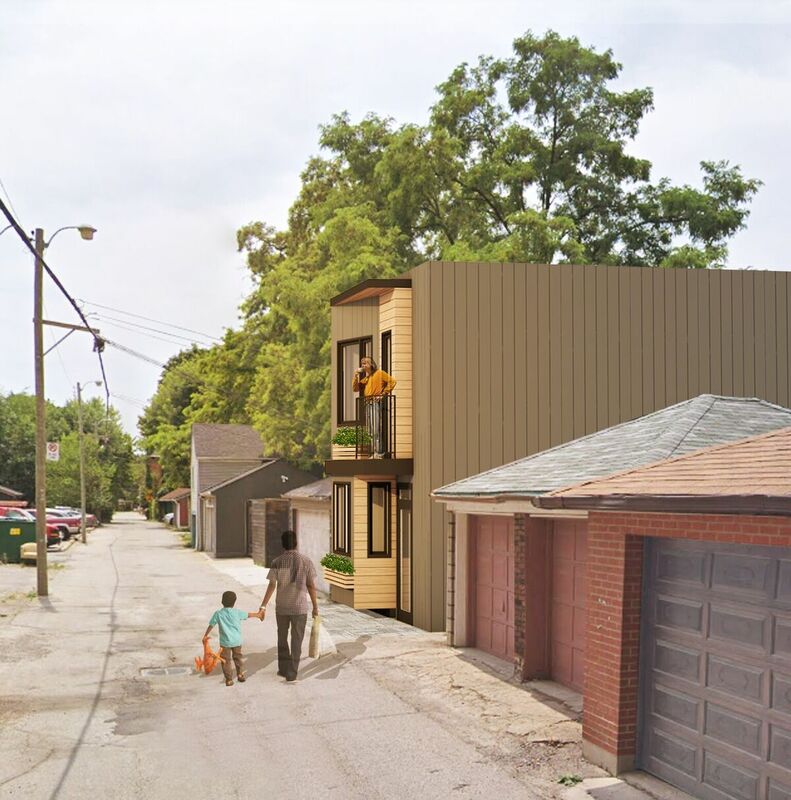 We are currently researching the potential of various laneway housing sites to fit new net-zero homes. If you would like your property to be considered for this project, please contact us for more details. 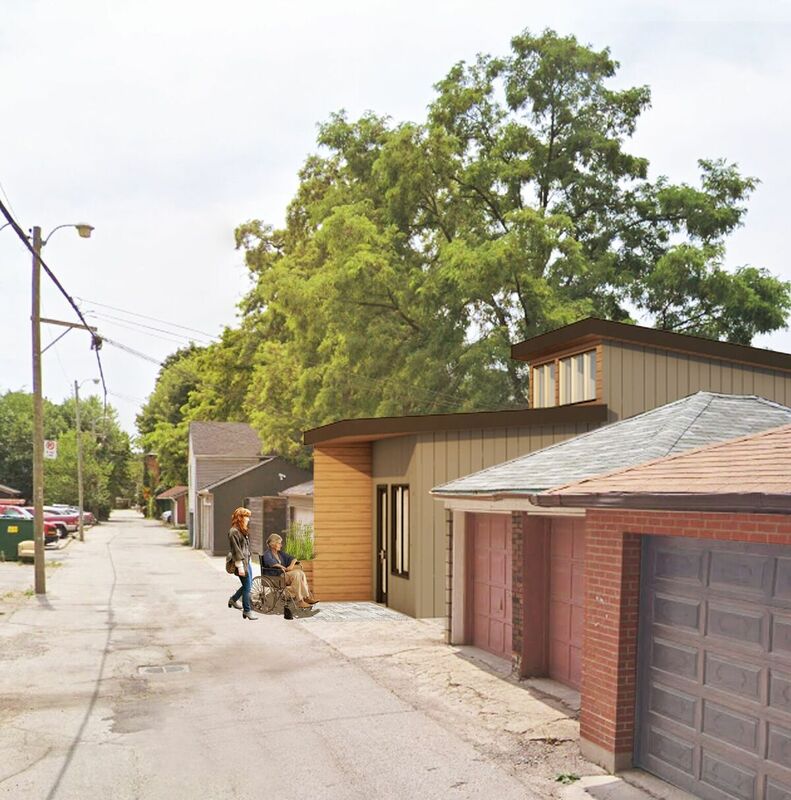 We’ve been developing some cool prototypical designs for Laneway Houses that can be easily adapted to most laneway sites. You can choose from one of 3 types - the simple suite above a parkingspot - for those who need to keep on-site parking for your electric vehicle; a fully accessible suite that’s perfect for keeping our families together while caring for each other; or the two-storey, 2-bedroom model that offers great stable rental housing.What’s different about our research is our core focus on green design. In particular, we are showing that Net-Zero laneway houses are not only possible, but practical to build, and that even a Passive House or Living Building Challenge certified ultra green laneway house could be achieved. Guide to Planning Your Laneway House coming soon from The Architect Builders Collaborative.